We also advise you claim if your train was over crowded and you could not board. Claim this as ‘other reason’ and provide additional information. You must claim for your delayed journey within 28 days of the journey taking place. Always claim against the published timetable. 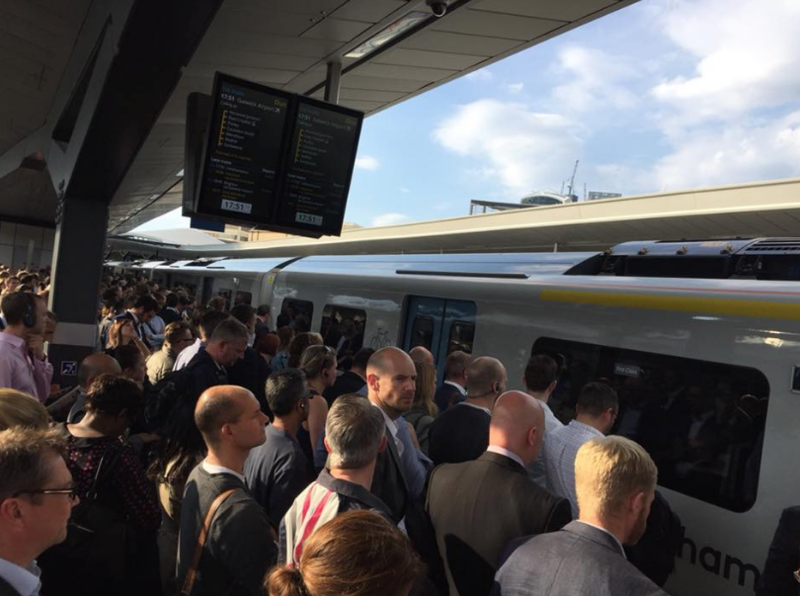 Southern/Thameslink have a habit of deleting trains from the online planners/apps etc. But still claim for them even if they have been deleted. You should keep your own personal records of what trains were delayed (especially if you are to claim enhanced compensation as you will need this information). If you need specifics http://www.recenttraintimes.co.uk/ is very helpful for looking up historical train running information. You can claim Delay Repay compensation if you have Single, Return, Season Ticket (Weekly, Monthly, Annual), or used Oyster/Contactless. If you’re delayed more than 12 times within a reporting period you can also claim enhanced compensation. How much Delay Repay compensation will I receive? The compensation you receive will depend on the amount of your delay and the ticket you have. RRDRUA urges ALL members and travellers from the area to claim for all delays they experience, even if they are only delayed by 15 min. 2 hours of more: 100% of single / 100% of return ticket price. *You can not currently claim a 15-29 min delay on Great Western Railway. How do you claim Delay Repay compensation? However you choose to claim, we recommend that you claim directly from the relevant train operating company (which may be academic as Southern Thameslink, Gatwick Express are all ‘Govia Thameslink Railway’). You will need your ticket information so make sure you retain it. For Season Ticket holders you will need your photo card number, and your season ticket number. If you’ve used contactless or Oyster to pay for your journey you will need to download the journey receipt from the TFL website. The easiest way to claim is online. This is fast and simple, and you will receive email confirmation when it’s submitted, and updates on what is happening with your claim (such as accepted, more info needed, or rejected). You upload a photograph of your ticket/season ticket as part of the process. You can also claim by collecting a form from a station or downloading a copy directly from their website using the links below. If you are a Season Ticket holder, you may be entitled to claim enhanced compensation. If your train is delayed by 30 minutes or longer for 12 times or within a reporting period you can submit an additional claim. National Rail Vouchers that for a single journey between the stations covered on your season ticket. If you choose vouchers, the website says you can convert them to cash at any Southern/Great Northern/ Gatwick Express or Thameslink ticket office – however we’ve had reports of them not being accepted (they are slightly darker green than the standard delay repay vouchers). To claim enhanced compensation you need to be able to record the 12 journeys that were delayed by over 30 minutes. You complete the form available on their website and post it off. You need to include your tickets with the claim (or a copy of your season ticket/Oyster or Contactless statement). It’s the same form for Thameslink/Southern/Gatwick Express/Great Northern.